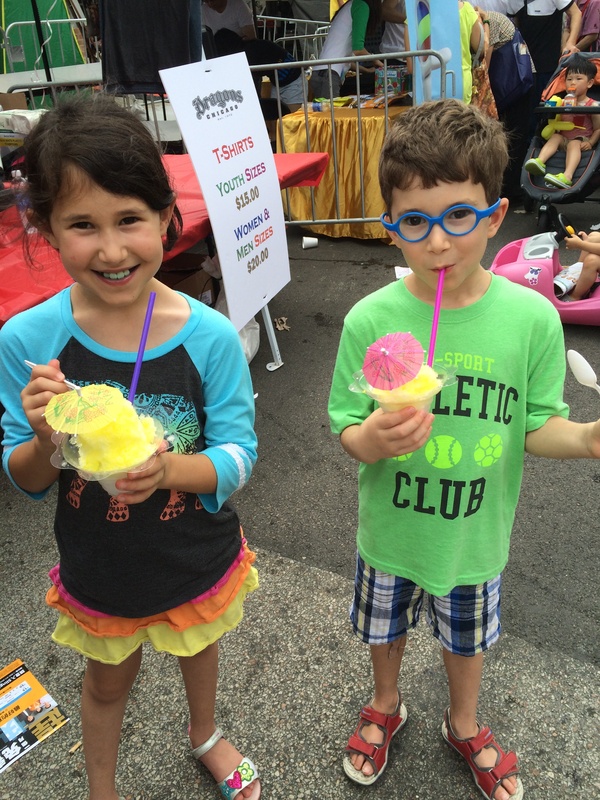 I dragged my little kids and husband out to Chinatown this morning to attend the annual Chinatown Summer Fair. We’ve experienced above-average temperatures this weekend (97F yesterday and 91F today), so we left home before the sun was at its hottest. 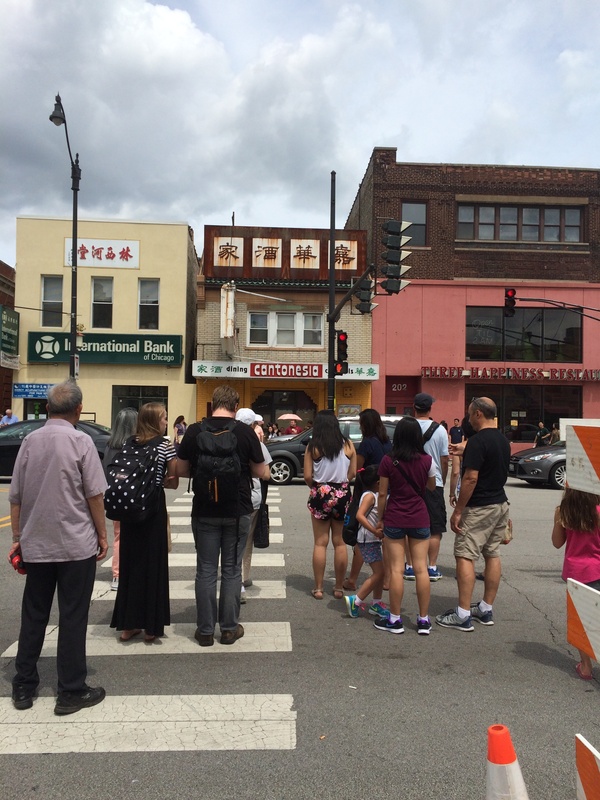 The Summer Fair was held in the old part of Chinatown, a place we rarely go. 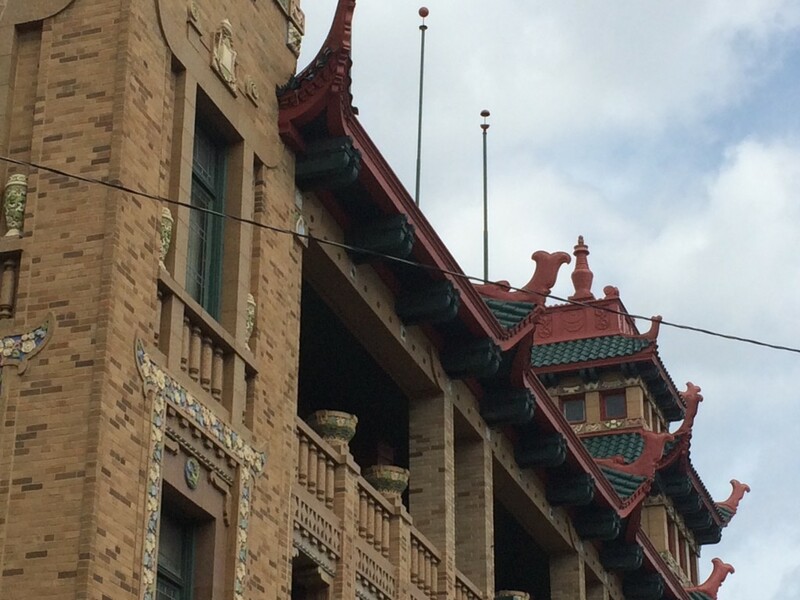 Won Kow is the oldest restaurant in Chinatown. I haven’t been in 14-15 years. The architecture in the old part is quite stunning. Here’s the Pui Tak Center. We stopped at the Farmers Insurance tent to see my friend Justine. 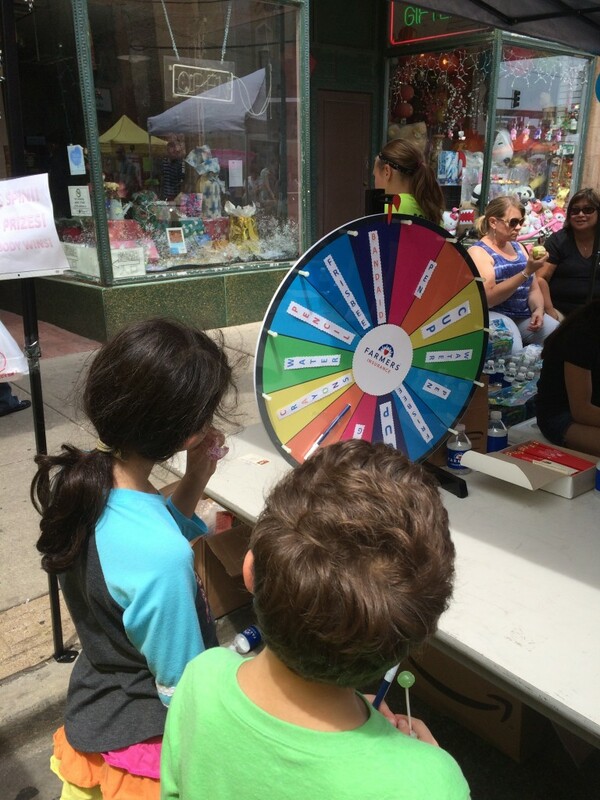 The kids spun the wheel of fortune and each won a pen. Despite the heat, the crowds were not light. The fair reminded me of Hong Kong’s Ladies’ Market. 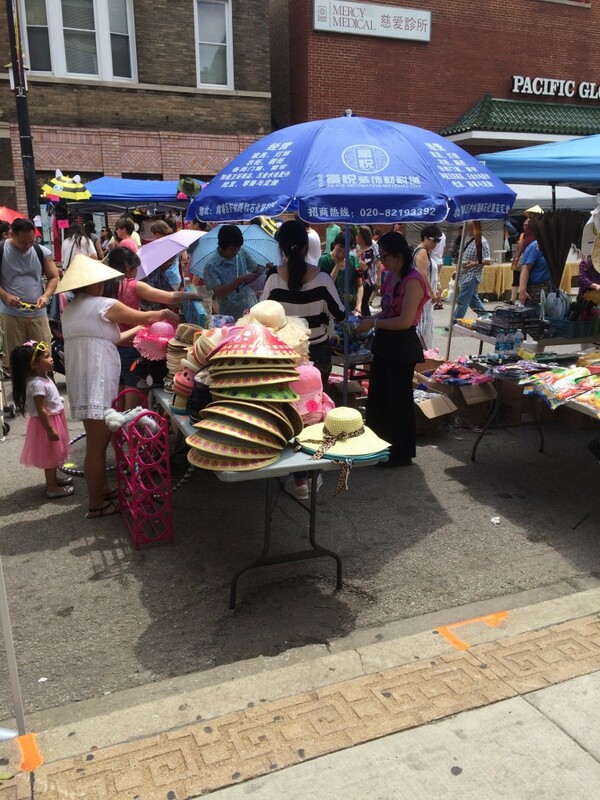 Most of the vendors sold women’s clothes, accessories, lucky bamboo, and other tchotchkes. When Tom saw the rice paddy hats, he said the kids could buy anything but those. (I didn’t tell him I bought a rice paddy hat on my first trip to China, but I love that he thought it was tacky.) We ended up buying the kids a parasol each. And since it was so hot, we got the kids a Hawaiian ice. 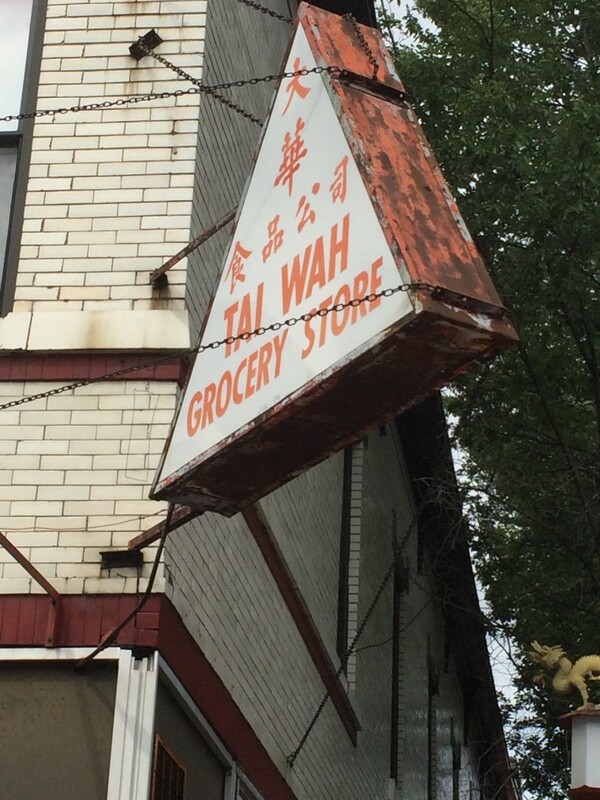 I love the old signage. So we went to Phoenix, which has changed owners, and had quite a few new menu items. 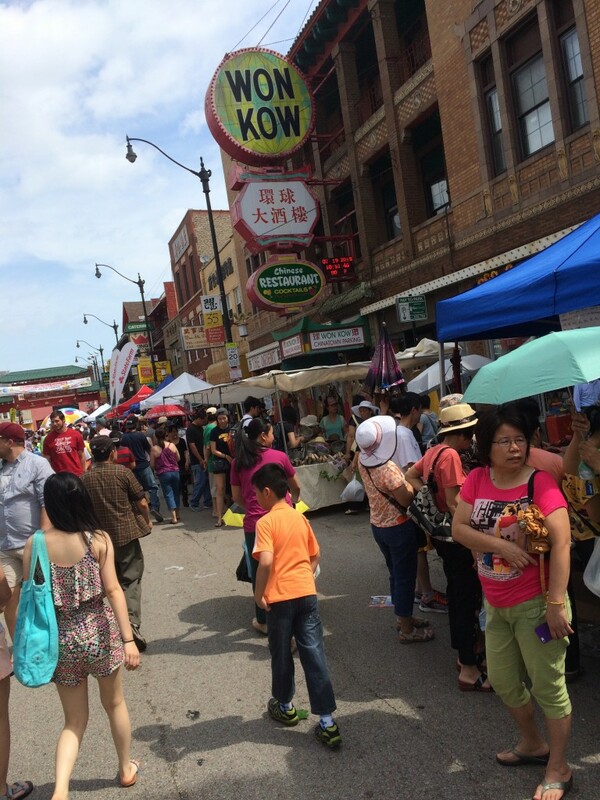 The Chinatown Summer Fair is held every year in late July. There was a stage with live performances every half hour in the afternoon. We saw some breakdancers. McDonald’s sponsored the fair and had a couple of stations set up on a side street. There were also bouncy houses for kids and a lion dance to kick off the fair first thing that morning. Despite the heat, you all looked to be enjoying yourselves! 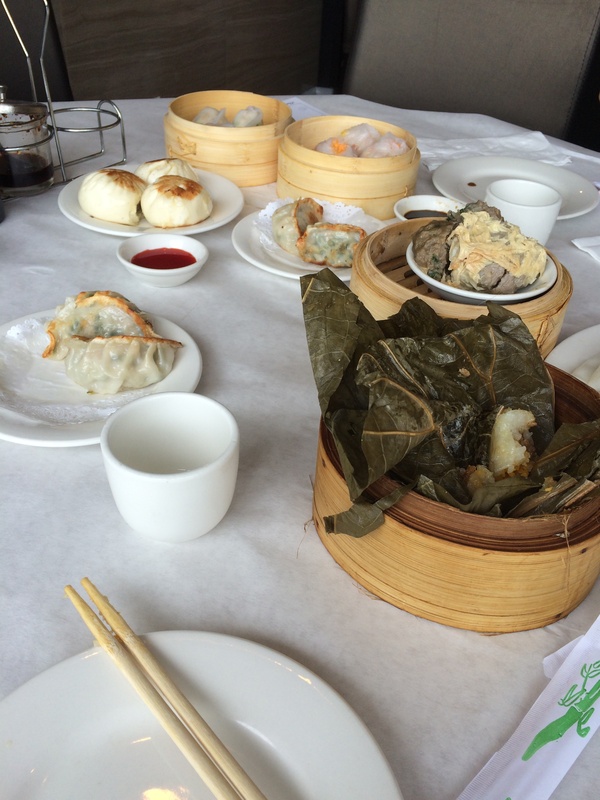 That dim sum looks delicious by the way! Thank you! The dim sum was extra fabulous yesterday, I think because the restaurant has new owners and have added some new things to their menu. It’s now carts-only on the weekend. No more menu. Back to the basics! Most of the places here are carts-only, except the more elaborate places, which have the menu system. I prefer the carts as it is faster and you can actually pick-out which item you want before it comes to you!